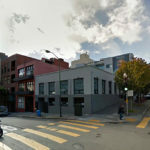 While plans to convert the Mission District garage at 3140-3150 16th Street into a massive 20,000-square-foot restaurant and event space dubbed “The Albion on 16th” have been drawn, the building is now back on the market as “an excellent opportunity for an investor to re-purpose the existing building,” but without any approvals having yet to be secured nor a set price. Purchased for a record-setting $8.7 million back in 2013, at which point Mx3 Ventures was planning to develop a five-story building with up to 25 condos and 8,000 square feet of retail on the parcel, said plans were subsequently abandoned and downsized, which shouldn’t have caught any plugged-in readers by surprise. And the downsized plans were then downsized again. 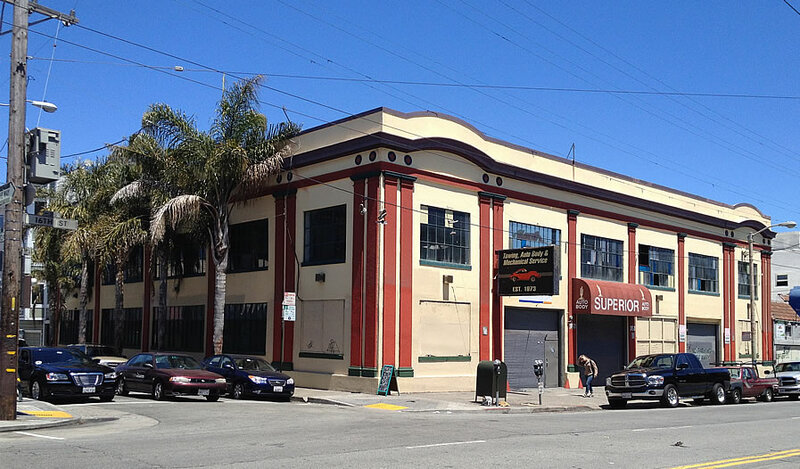 Keep in mind that while the corner site between Valencia and Guerrero in the Mission is zoned for development up to 55 feet in height, the existing Superior Automotive shop building is considered a historic resource, having been identified as such back in 2004. Oh thank goodness it is back on the market. I was afraid someone might try and put housing there. I don’t understand why preserving a historic resource gets higher priority than building more housing in a location that does not displace any residential occupants. Couldn’t they maintain/incorporate the historic facade while still building up to maximize density? Build three floors of modern glass units on top, second floor units with deep punched windows, high ceilings, modern, clean lines inside, with the juxtaposition of the older building would look nice. A great restaurant space or two on the bottom, Brazilian, Cuban more palm trees. Keep the facade – build inside of the exterior walls. it’s done every day all over the world… Except in SF. where everything is deemed impossible. Especially if it means issuing a building permit. 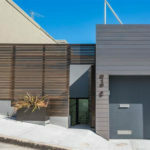 UPDATE: The asking price for the 3140 16th Street parcel and garage has been set at $11 million.